Not everyone needs a driver that can work hard all day long. The drivers that can do that are big, heavy, and expensive. When you are doing work around the house all those properties are undesirable. A small, light, and cheap driver is a much better tool in those circumstances. 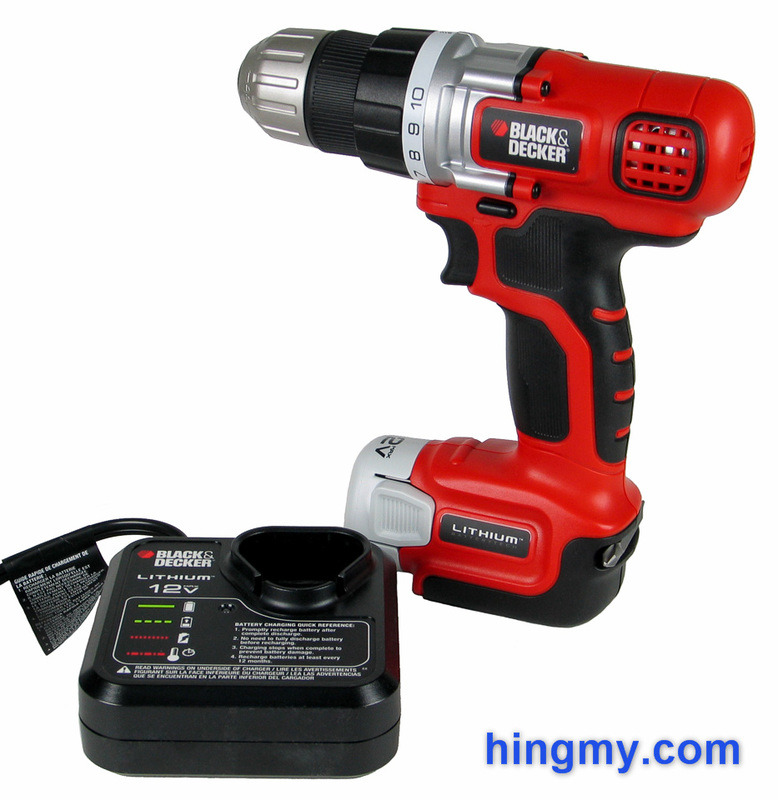 The Black&Decker LDX112C is such a tool. 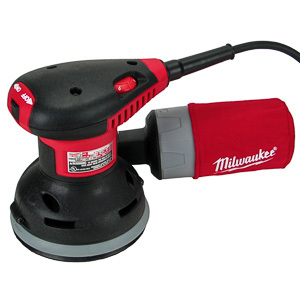 It promises to deliver the pro-tool feel in a smaller, less expensive package. Let's take a look, if the LDX112C can indeed perform like a full size driver. One of the most pleasant attributes of the LDX112C is its small size. It is easier to hold and maneuver than most full size drill/drivers. Users with limited arm strength will like the LDX112C. An appropriately sized tool makes for a better experience. The battery at the end of the handle perfectly counter balances the tool's barrel. For small jobs the LDX112C often is the better tool than a larger driver. The LDX112C is a variable speed model. The trigger varies the speed between 0-600 rpm. While the drill is not going to break speed records, the low speed makes it very controllable when driving screws. At 8 lbs-ft of torque the motor is powerful enough to sink a 3 inch screw into framing members, but it is at its limits near the end of that task. 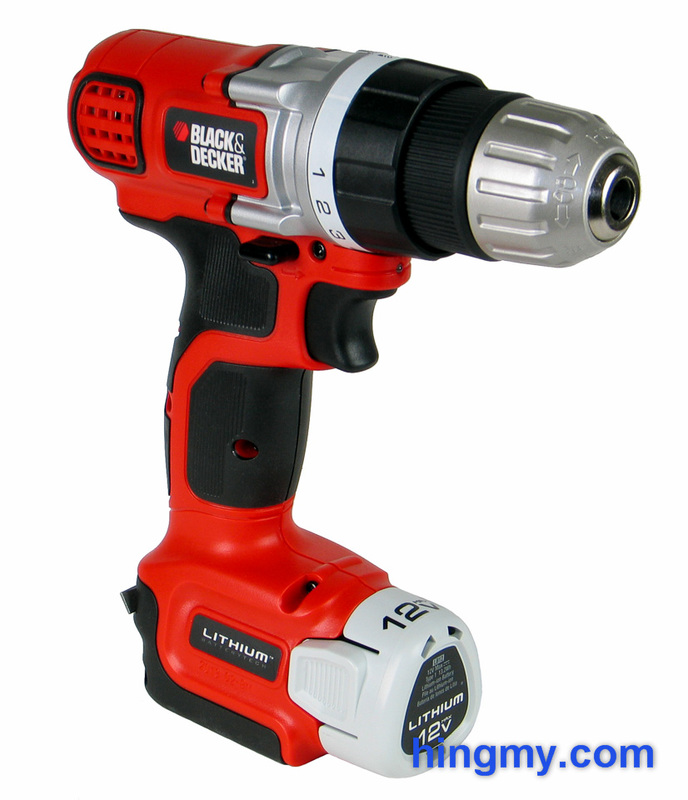 Black&Decker equipped the LDX112C with a friction chuck. The housing is made from plastic, but the internal components are made of metal. Like most friction chucks the holding power of this model is limited and depends on the user's hand strength. The chuck does, however, provide an appropriate amount of holding power for the type of bits used in this tool. Installation of short hex bits can be a bit difficult for someone who has not done it before. The LDX112C comes equipped with a 10+1 position clutch. Settings 1 through 8 are almost indistinguishably weak. Setting 9 starts a very steep ramp up in torque that ends in setting 10, which is set so high it might as well be the drill setting. This uneven distribution of torque limits somewhat defeats the purpose of having the clutch in the first place. It's almost as if the tool was design to offer better control in the lower torque band. On the plus side the clutch itself works very well. The selector ring is durable and locks into each setting with a satisfying click. Clutch releases are predictable and reliable. An LED work light just above the trigger illuminates the area immediately in front of the drill. Unfortunately the barrel of the tool casts a shadow onto much of the work area that lies immediately above the tool. This includes the impact point of the bit. The light comes on when the trigger is pressed ever so slightly. With good control it is very possible to just turn the light on without engaging the motor. This shows good design on Black&Decker's part. In a pinch the drill can even be used as a very weak flashlight. The small battery is appropriately sized for a light-duty tool. Being a Lithium-Ion unit the battery holds plenty of charge for the typical work done with the LDX112C. 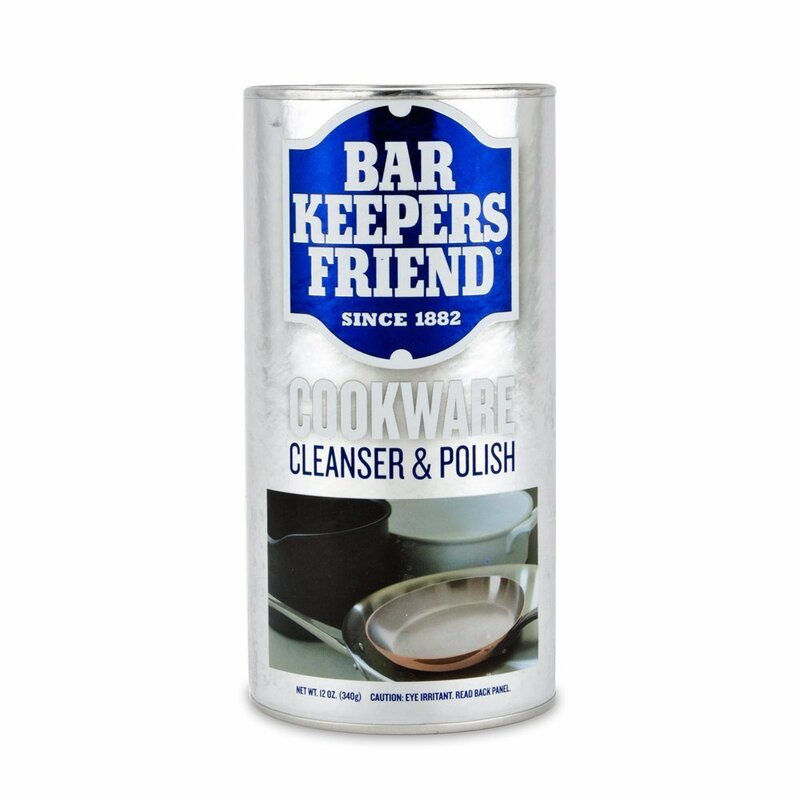 It self-discharges very slowly making it ideal for a tool that spends most of its time in a drawer waiting for a few minutes of action. Power users beware. Despite being Lithium-Ion the battery is still very small. The drill will run out of power after driving less than a hundred screws. 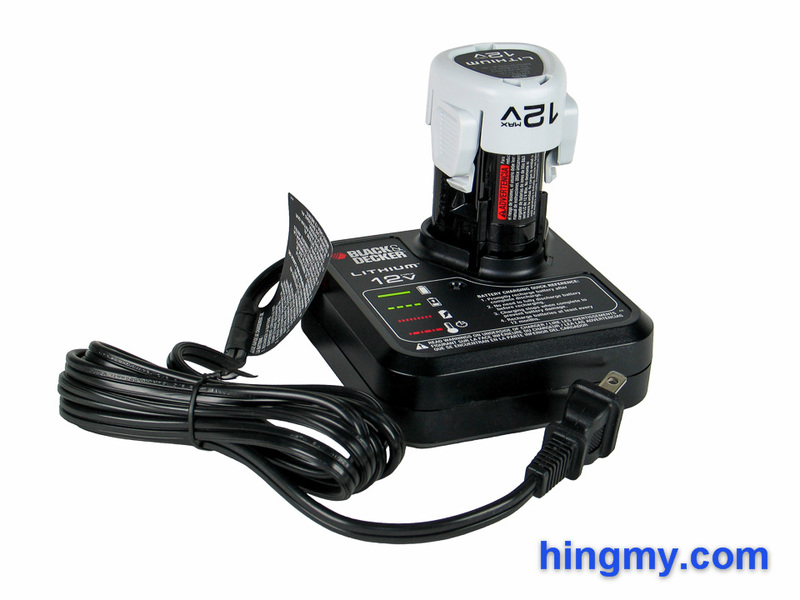 The battery charger shows strikingly good design with its clear labeling. It's immediately clear what the charger is doing, and what it expects the users to do. The engineers even remind the user that it is safe to leave a battery in the charger after it is fully charged, and that it is not necessary to drain the battery fully before charging. These are questions internet fights are made of. A full battery charge took upwards of three hours to complete in our test. That is about five times slower than what a good rapid charger can do today. With only a single battery in the package and the endurance of the LDX112C's battery in question you run the real danger of interrupting your work for three hours at a time. The LDX112C is an Ok drill and a very limited driver. When drilling the 600 rpm top speed makes for a slow experience. The LDX112C will eventually get there, but it'll take the drill several times as long as the leader. At only 8 lbs-ft of torque driving screws is not the favorite task of the LDX112C. While the drill/driver certainly has enough torque to complete most residential tasks, the tool will soon find its limits in a construction environment. Speed is not the strong point of the LDX112C. While a single screw or hole is not a problem, repetitive work will soon force the LDX112C to throw in the towel. If it's not the battery that will force you to take a break, the tool's motor will. The heat management depends on the tool being put down regularly. If the tool does not get a chance to cool down, the heat can very quickly damages the internal components of the tool. A single deck building project will probably see the end of the LDX112C, if you somehow find enough batteries to run it. As a driver the LDX112C is capable of sinking a 3 inch screw into framing lumber. The motor labors near the end, but can reliably sink the screw every time. Thanks to the variable speed the user has control throughout. The tool will happily keep on driving screws until the battery is empty. Driving 3in screws is little outside of the design envelope of the LDX112C. We did it to figure out where the tool's limits lie. The LDX112C has really been built to drive shorter screws around the house in short sessions. It's great for retightening that one lose screw, hang a picture, or assemble furniture. It can do anything that is not called a project. Any task that puts a lot of load on the motor for an extended period of time will be too much for the LDX112C. In the world of sub $100 drill/drivers the LDX112C takes up a position near the bottom of the ranking. It offers very low performance at a matching low price. 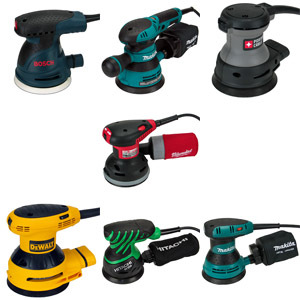 In some respects it can be described as an attempt to created a drill/driver with the lowest specs and price possible that would still allow the tool useful and keep it out of the junk category. While this was certainly a success, in the budget segment large performance increases can be purchased for very little money. The LDX112C is a well-built tool. 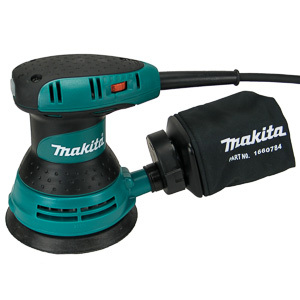 It rises above gadget level into the ranks of power tools. 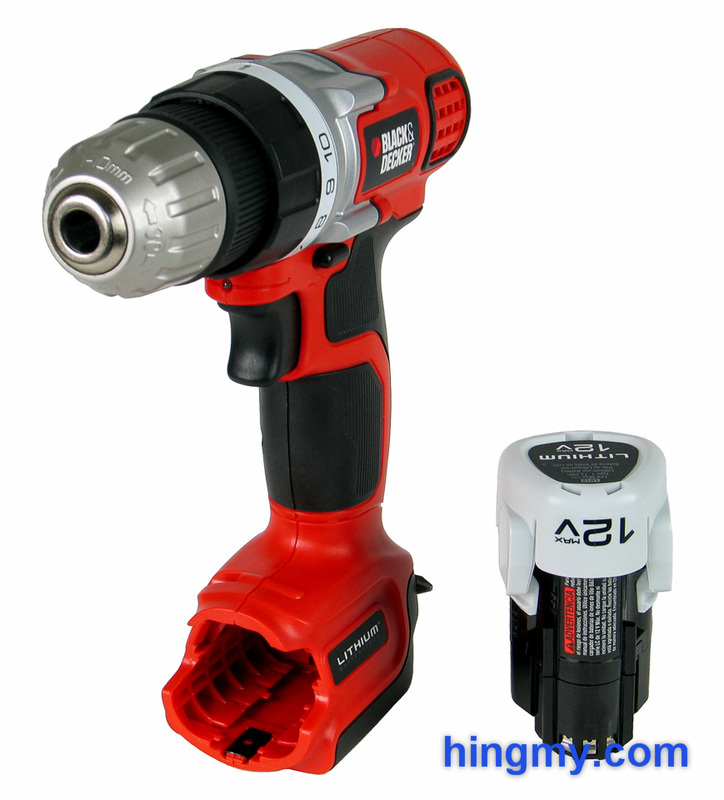 When used within its intended usage range this drill/driver will last a good number of years. If you have one hole to drill, or a couple of screws to remove, the LDX112C is a good tool for the task. 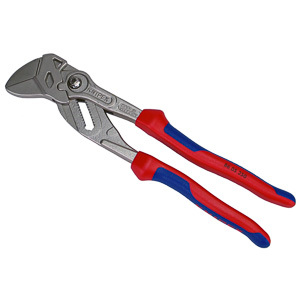 It has the feel of a professional tool at a much cheaper price. The LED work light, variable speed trigger, and 11 position clutch make for a pleasant experience. 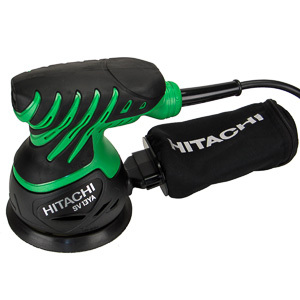 The Lithium-ion battery makes it possible to leave the drill in drawer and not have to worry about the battery running flat. Unfortunately the endurance of the LDX112C is very short. If you try to do even a medium amount of work at a time the low battery capacity will stop you. That's probably a good thing. To reach its maximum life the LDX112C needs to spend a lot of time cooling down. The battery, which takes over three hours to recharge, will keep you from pushing the tool to its limits. You have to be very clear about what you want when purchasing the LDX112C. 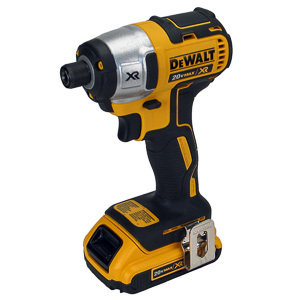 If you are looking for a compact drill/driver for small repair projects around the house, the price of the LDX112C makes it one of the best options out there. 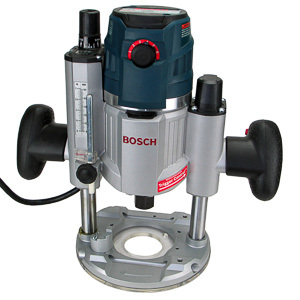 You get a fully functional drill/driver for your money. Should you ever want to do a larger project you'll have to find another tool. The LDX112C simply cannot do construction work. Professionals should look elsewhere.